Is Tree Fertilizer Is Important? Trees in the forest have an abundance of nutrients because of the delicate forest environment that has evolved over millions of years. The trees in our yards; however, are a whole other story. Trees in urban and suburban environments face high-stress conditions like low moisture availability, soil compaction, physical damage, and construction. Plus as we rake away leaves, twigs, and fall bark we remove nutrients that would have naturally decomposed and entered the soil, feeding the tree. When faced with these conditions trees will not reach their full landscape potential, have a shorter lifespan, and will be more susceptible to insects and diseases. To combat this you must invest in a maintenance program that mitigates these high-stress conditions. Other than regular pruning, fertilizing your trees is one of the best things you can do to keep your tree healthy and happy. However, when most homeowners fertilize their tree they use high nitrogen fertilizers found at home improvement stores. These high nitrogen fertilizers can actually hurt your tree more than they help. Instead, our Arborists use Bio-stimulants to provide the desired benefits of fertilizer without the harmful effects. Tree fertilizers were originally created to correct a severe nutrient deficiency and stimulate fast growth. This is why they usually include high levels of nitrogen. But without a soil test to find out what your soil is missing and a custom fertilizer to balance out the levels of your specific soil, you could be giving your tree nutrients that it has an excess of and throwing off the organic equilibrium in the soil. In most cases “one size fits all” tree fertilizers found at home improvement stores are just too much of the wrong nutrients, especially for mature trees. Our arborists equate typical tree fertilizer to giving your grandpa a Redbull. It will get him energized but it’s too much and could do damage to his body in the long term. Bio-stimulants on the other hand (what RTEC uses to fertilize trees & shrubs) are a less aggressive form of fertilizing and is equivalent to giving your grandpa a soothing herbal tea. Bio-stimulants will provide you with the results you want without negatively altering the balance of your soil or stressing out the tree. 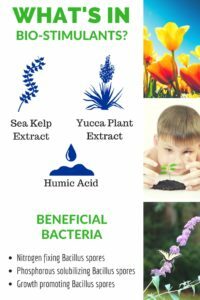 Bio-Stimulants contain a natural blend of sugars, bacteria, humic acid, sea kelp extract, and fungi. This mix feeds the soil and naturally fertilizes the tree. By introducing this blend to the critical root zone it will re-establish good soil composition and act as a multi-vitamin for your tree. Do I need to Bio-Stimulant my trees? Although your tree can survive without bio-stimulants, these supplements are an important part of keeping your trees healthy and strengthening their immune system. Fertilizing your trees with bio-stimulants is one of the best ways preventative measures to keep your tree from getting sick. Bio-stimulants provide numerous other benefits as well. Enhance root and foliage development. Increase availability of nutrients and antioxidants. Improve a plant’s ability to recover from disease and insect damage. Improve resistance to environmental stressors. When should you apply bio-stimulants? For best results you should apply bio-stimulants twice a year; once in the spring and once in the fall. Applying in the fall helps prepares the tree for its winter’s nap and protects it from winter damage. In the spring, bio-stimulants provide extra nutrients so the tree has all it needs to push out new spring growth. 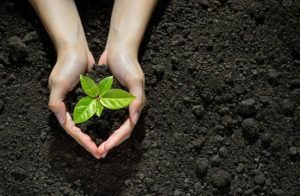 What is deep root fertilization for trees? Deep root fertilization is a technique that injects bio-stimulants 4-6 inches underground and fractures the soil. This creates macro and micropore space making room for root growth. At the same time, this deep root fertilization process waters the tree. Deep root fertilization is mainly needed when the area surrounding the tree is covered with turf or the soil is tightly compacted. In situations like this, the fertilizer has trouble penetrating the ground and getting to the depth of the roots (4-6 inches). If your tree is surrounded by a flower bed or mulch you most likely will not need deep root fertilization instead opt for above ground fertilizing using bio-stimulants. So instead of using store bought tree fertilizer this season let the experts fertilize your tree using bio-stimulants.